Welcome to the Magic and Alchemy Page! "Darkness gives birth to light; Out of the lead of the water region grows the noble gold; what is unconscious becomes conscious in the form of a living process of growth"
“Can you teach me magic?” said the young man standing before me and looking at me hopefully. “No!” I said rather brusquely, but not really expecting this to end his quest. I was really more interested in his resolve, because it was this resolve that would speak to his level of intention and commitment. If he wavered now, then he wouldn’t be able to make magic anyway, but if he persisted, well then, maybe. But so many had quit before the training had really begun. It was no use wasting precious time on yet another wannabe. “But I want to know. You see, I’ve forgotten how.” He said with a far off look in his eye. Now this was a hopeful sign! I thought to myself. “To say you’ve forgotten how presupposes that you once knew. What say you about that?” I cocked my head to one side and gestured with my palms outward so as to elicit a response. “I know that I knew at one time, sometime before this.” Again said with that wistful air. “My dreams say I have.” He looked up at me hopefully, sensing that I was showing interest. “That I need to learn again how to do it.” He said haltingly. “Well they’re wrong! Magic can’t be learned!” I said with emphasis on the last word and then shoving my fists onto both sides of my waist as a gesture of defiance. Abruptly I turned as though to leave. “Please?” Said the young man. Hmm, this boy has potential. I thought. “Okay we’ll work on it.” I said and placed my hand on his shoulder indicating that I wished him to sit. I then pulled up a chair from the side of the desk and sat down facing him. “No,” said the young man looking much confused. “That sounds crazy!” Said the boy. “Precisely! We humans spend so much time thinking about things through the rational brain, that we have lost the ability to be magic. Now I’m not referring to the kind of magic practiced by some religious ritualists who believe that their rituals and thoughts can bring about real-world effects, where ideal causes are mistaken for real ones. Nor am I talking about the pointing of some wand and chanting a series of words so as to manipulate another person or object. That’s just sloppy thinking. That’s just “more thinking” and therefore comes through that place in the mind that filters all material on a self-interest level. Magic does not come through the “thinking” mind. “Well I’m confused!” He said resignedly. “Well, uh, I am!” He said as though it were obvious. For one brief moment the light shined through the darkness, very brief, and then was gone. “What was that?” I asked to get him to focus. “I, I don’t know.” He said looking even more confused. “Quiet your thoughts for a moment and listen to the voice deep within you that is whispering, ‘There is something more, all of your thoughts about life so far aren’t quite right no matter what anyone says.’ Do it now and we will talk again later. The journey has begun.” I said as and end to this part of the conversation. In the book The Dragon’s Treasure the reader is carefully lead through the labyrinth of the psyche, the inner workings of the mind to find the hidden treasure that lay in all of us. It is a journey of magic, both the reality of it and the ‘how to’ and practice of it. In this journey I have simultaneously been the student and the teacher, the wizard and neophyte. There is magic, to be had, experienced and practiced, but not in this world of the rational mind. Learn how to enter the world beyond the one you think you know. Learn the magic. What, pray tell, am I doing talking about this ancient and largely discredited precursor to chemistry and what does it have to do with dreams? 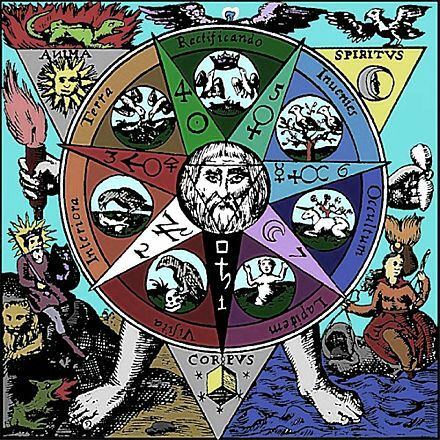 There are seven (combined within four primary) processes the alchemist had to perform in the most exacting of ways in order to produce the transforming element, the Philosopher’s Stone, that which would transmute lead into gold (not depicted is the seventh process that is the choosing of the unredeemed matter to be transformed–in this case, “us”). It can be likened to the recovery of the soul. Carl Jung thought of it as representing the Individuation process, where human beings wrestled with and integrated their varied and opposing aspects so to develop into a fully actuated being, in short, the process for aligning ones outer nature with their inner nature–the quest for wholeness. To him it was the promise of our ‘becoming’. He thought that the images of the alchemical process mirrored a person’s inner psychic state of being and thus gave guidance to what was needed to achieve this inner/outer balance. Thus the emblematic alchemical arcana (see example below) represented a road map to healing. Firstly, one needs to free the soul from the body and become familiar with their unconscious identity as separated from their conscious, ego-bound identity. Dissolving, or causing one to let go, or surrendering, ones positionality is the next step. This is a form of ego-death where the ego is no longer the prime mover. In the third step one recombines the soul and consciousness to form a new and singular mind. The last step fixes ones mastery over the self after having integrated the disparate parts of the overall psyche. So what am I talking about when I use the term “disparate parts of the self?” I’m talking about the various aspects of our selves that are usually in inner conflict such as our feminine and masculine aspects. Most people operate as though they are one or the other based upon their anatomical differences and different ways of thinking and viewing the world. There’s also our wisdom selves, or radiant self, and our shadow selves, e.g. for simplicity’s sake, our positive and negative aspects–that which we readily embrace and that which we categorically reject. But it is the ego-self that makes the decisions of what to reject or embrace and bases these choices on the basic need of the ego to stay in control. This is not a very good system for triage because of the limited vision of the ego-self. Thus there is the need to let go the predominance of this part of the ego, that can be likened to a huge mountain obscuring the landscape beyond, in order to see over the top of it. The ego-self doesn’t know everything of what it needs or doesn’t need in order to fully function. There is much in the unconscious that has been thrown away by the ego-self that can be immensely helpful if it were to be reintegrated into the overall psyche. The internal alchemist can guide each of us to delve into the psyche where we have the power to change the essence of our stories. I remember that during the height of the Polio epidemic in high school I painted a large billboard announcing the coming of a Polio clinic where people could get not only their children inoculated, but themselves as well. On it I depicted a large writhing dragon being slain by an equally large hypodermic needle. Little did I know that this symbol of slaying-the-dragon was to be the mythos for much of my life. At one time I could have posed as the poster boy for “Robert The Blah”, but time and again I found myself in situations where I had to dig deep inside to find the power to draw my inner sword in order to confront whatever metaphorical fire-breathing dragon stood before me. Over time the mythos evolved into what might be called “Robert The Dragon Fighter” [i], but I continued to operate in the old myth. To fully manifest and use the power of what I had become I had to be willing to change my personal mythology. In order to change our lives for what we imagine to be better, we more often than not need to change our personal mythology–to rewrite the story of ourselves and what we say we are. The ego-self resists this because to the ego-self it looks like death and it is death in a way because to rewrite ones life mythology they must kill-off, or dissolve, the old to make way for a birth, if you will, of something new. This reenvisionment can only happen after we have dissolved the current vision to make way for the new. The dream world is our access to the imaginal, the vision of what is and what can be, it is a portal of discovery that can lead to an awakening in our so-called waking lives. It can reveal not only the archetypal conflicts of the human soul, but our own inner conflicts as well. It is quite literally our alchemical and psychosocial laboratory for evolutionary change, expansion of consciousness (i.e. what it means to be really conscious), and for the freeing of the soul. In fact, dreams always come to us in the service of our health and well-being and to aide us in our alchemical quest. 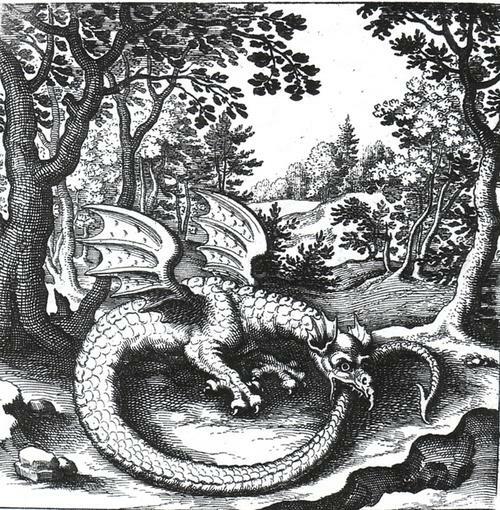 The Ouroboros, the dragon or snake creating a circle by biting its own tail (see above) is the most often used symbol in the work of the ancient alchemists. It represents the world-creating spirit that resides within matter. Many alchemists used it to represent Mercurius, or quicksilver, the prima materia of the alchemists work. It stands for the beginning and the end of the work i.e. the One that leads back to the One– the symbol of the union of opposites thus creating the whole. It can be imagined to represent the cold and fiery, matter and spirit, metallic and liquid, poison and healing drought. He is also the Hermaphrodite of the Tarot, the coiniunctio of all opposites that makes up the world and the psyche of humankind. It appears as a symbol of the stone in the philosopher’s stone. It has been said that the work of the Alchemists was more than the experiments in chemistry ostensibly to discover both immortality and the process for making gold from lead but also a depiction of human psychology in all its mystery. I remember reading that Carl Jung had the thought that the Alchemists of old were really reflecting a psychic need for wholeness through their investigations and ministrations of chemical wizardry e.g.  their attempt to turn a base metal into gold. I had noticed earlier how all our technology seemed to reflect what was already functioning in nature and thought of his revelation as just another of these natural projections i.e. it’s hard to see anything other than what’s in the box when that’s where you live. Recently on a flight to San Diego, California I was entertaining myself with an article from Scientific American and was struck again as to how the human psyche is intricately entwined with all the rest of the natural world i.e. how we are but a reflection of it. The article was about black holes and the creation of the universe. It spoke of four dimensions, no not the three we know plus time but a four dimensional space plus a fifth that we call time and how gravity permeates it all. To me it was a reflection of how the psyche is broken up into the ego, id, and super ego with the soul permeating them all. I wonder if our consciousness is a sub-universe embedded in a larger psychic universe, that is yet again embedded within the larger collective unconsciousness that we all may be attached to? 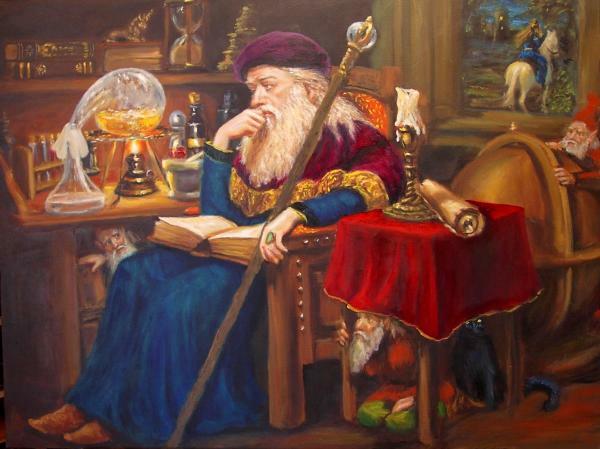 Jung suggested that at a deeper level the ancient alchemists were searching for more than just transmuting metals, but were meddling in something much bigger. Hidden in the common base metal of the human psyche was a wealth of grand value if only they could discover the path to its achievement. Many of our myths have hinted at this e.g. Jason and the Golden Fleece, Sir Percival and the Grail, Hercules and the hand of Persephone, and the innumerable stories where heroes try to reunite what has been separated into a more harmonious whole. Even the dreams of those such as the Old Testament Jacob who wrestled with his God and learned to let go or dissolve his own ego position so as to evolve into someone more fully capable of dealing harmoniously in his world was an example of the kind of alchemy that is going on all around and within us. In Hebrew ‘Jacob’ is translated as, “Over-reacher", or he who supplants –an aspect of the separated ego-self–but is then given the name of Israel, “one who wrestles with God” an aspect I believe of the psyche trying to integrate itself. 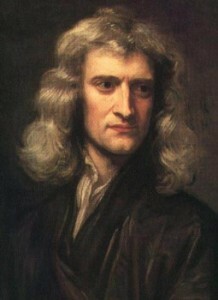 Also such notable scientists as Sir Isaac Newton were drawn to the alchemical sciences in an attempt to balance and ultimately unify the physical and spiritual aspects of reality. Many scholars in human development are convinced that our personal mythology informs the way in which we live our lives, that we make our decisions for better or worse as a consequence of our mythology. Much of therapy and dream work is about bringing ones mythos to consciousness, confronting it, and gaining some mastery over it–it is the alchemical process at work. Much of dream work and personal therapy involves distilling the dross of the soul in order to work with the purified essence of the self. It is as Jung said that dream work is soul work. The process, then, is the transformation of the unredeemed self into the ultimate expression of our being. In this way we can be the Philosopher’s Stone, or the fully Individuated, or fully Actualized human. The Alchemists may actually have been projecting the inner processes of the psyche onto the objective world–pretty much as we all do when trying to make meaning of the world we live in. They may have inadvertently been the first of the Depth Psychologists and self-development gurus, or at least revealed the processes needed for the development of the self. It seems that metaphor may also run deep within the waking mind as well as in the dream. “Your vision will become clear only when you can look into your own heart. She who looks outside, dreams: she who looks inside, awakes." Can you find the alchemical processes in The Archipelago of Dreams? [i] Note that I don’t use the term “Dragon Slayer” here because I don’t always slay the dragon i.e. get the better of him. Often my internal dragons, aka “self-criticisms” get the better of me. There are also times when slaying or fighting with a metaphorical dragon isn’t what’s called for. Sometimes the dragon shows up when I’ve been inflating my personal image i.e. acting arrogant and the dragon appears to cut me down to size. In this case even friends have played the role of the dragon and though they spit what seems like fire, they are only doing it because they care–this I want to nurture, not slay.